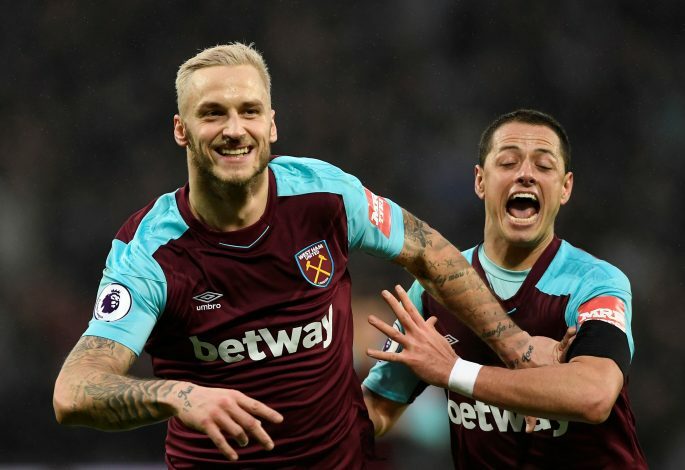 Man United Target Hints He Is Ready To Joing A "Big Club"
Marko Arnautovic has hinted that he could make a move to a big club in the near future. The striker left Stoke City to join West Ham United back in 2017, and he has since been quite impressive for the East Londoners. He has managed to bag 16 goals in 46 games so far, with his performances winning him the Hammer of the Year award last season. His impressive displays in front of goal have attracted interest from several clubs, with Premier League giants Chelsea and Manchester United, along with several European clubs, rumoured to be eyeing his signature since the previous summer transfer window. Now, the player himself has admitted that he is finally ready to take the next big step in his career, and secure a switch to a major club in the near future. Danijel added: “He’s already playing in the Premier League and that’s where the best players are. But for a player like Marko this cannot be the end. He’s a big part of West Ham’s team but I think it’s possible to tease out more of him. “For that to happen, he has to play for a top team. Marko is ready for the next step. A player like him should not play against relegation. He should play for the international spots.